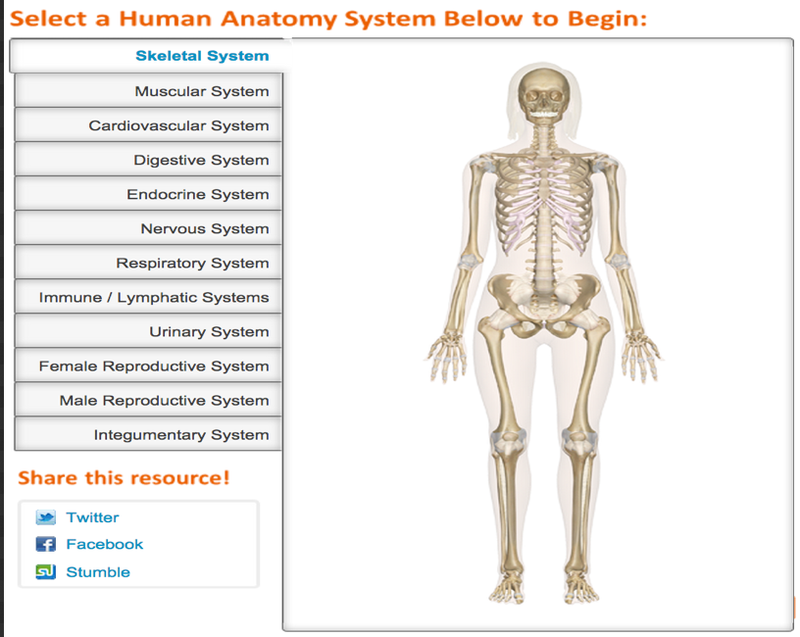 looking for some amazing web tools to teach human anatomy? The websites I have assorted for you below are probably among the best you can find out there. From engaging interactives to live simulations of the body system, these tools will enable your students to explore the mystery of the human body in unprecedented ways. Some of these tools provide 3D imaging of parts of the human body so students will both learn and live the experience of discovering the hidden secrets of our body. Visible Body offers students 3D anatomical models of the human body. Students will be able to virtually dive into the human body and learn more about its physiology using a wide variety of visuals. Visible Body is available for all kind of devices (iOS and Android) as well as a web version. Zygot provides students with a virtual lab with 3D dimensions where students can learn about dissection and human anatomy. 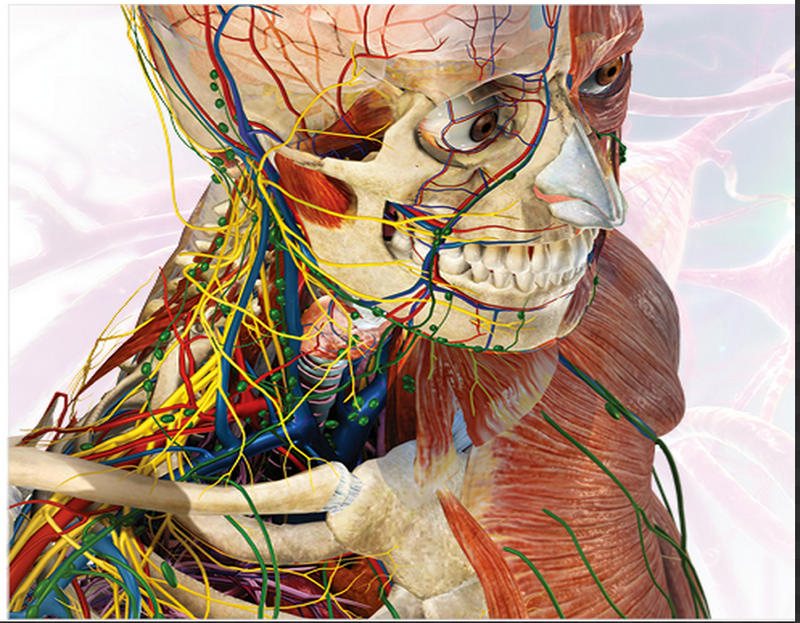 Zygot also offers a 3D anatomy Atlas containing every anatomical system of the human body. Students can dissect anatomy in real-time, cutting away virtual tissue in 3D for a deeper vision of the human body. Inner Body is a web tool that allows students to explore the human body using a large array of interactive pictures and through descriptions of thousands of objects in the body. From Skeletal system to integumentary system, students will discover the human anatomy at their fingertips. 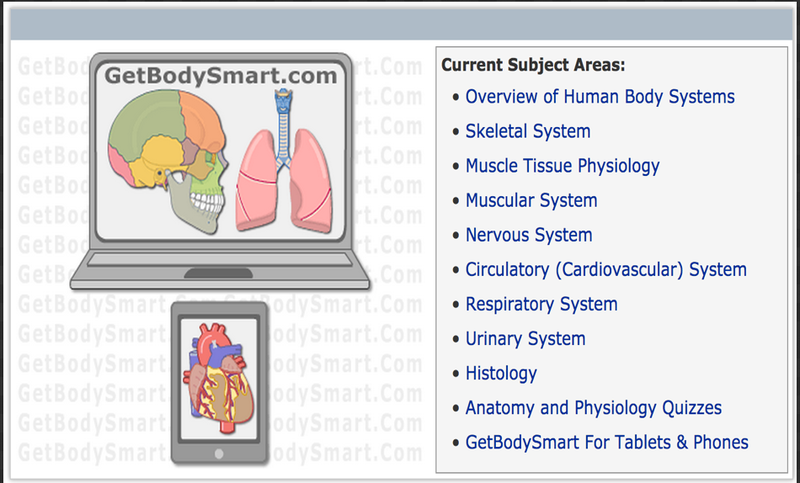 Ge Body Smart provides you with various interactive animations to help you visually learn about the human body. Using the different subject areas featured there, students will be able to examine the human anatomy and physiology using sophisticated technology. 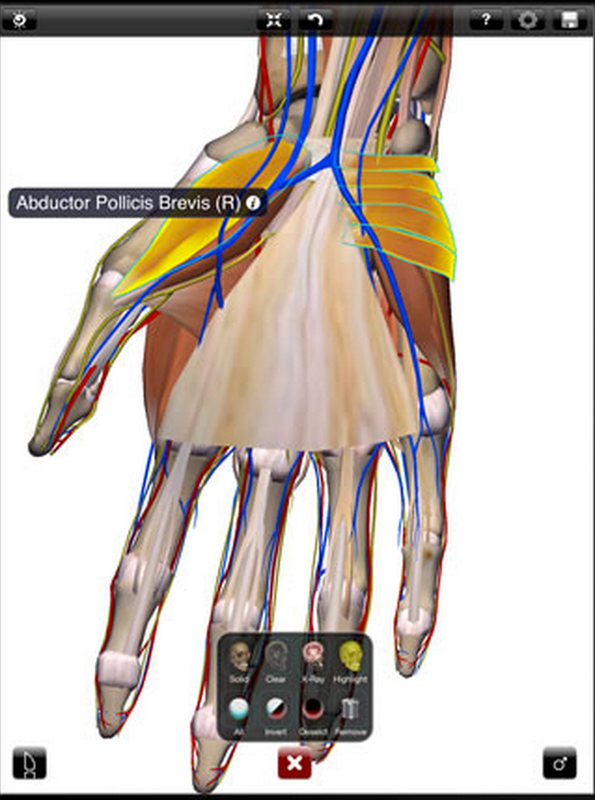 Virtual Body is a web tool provided by MEDtropolis. 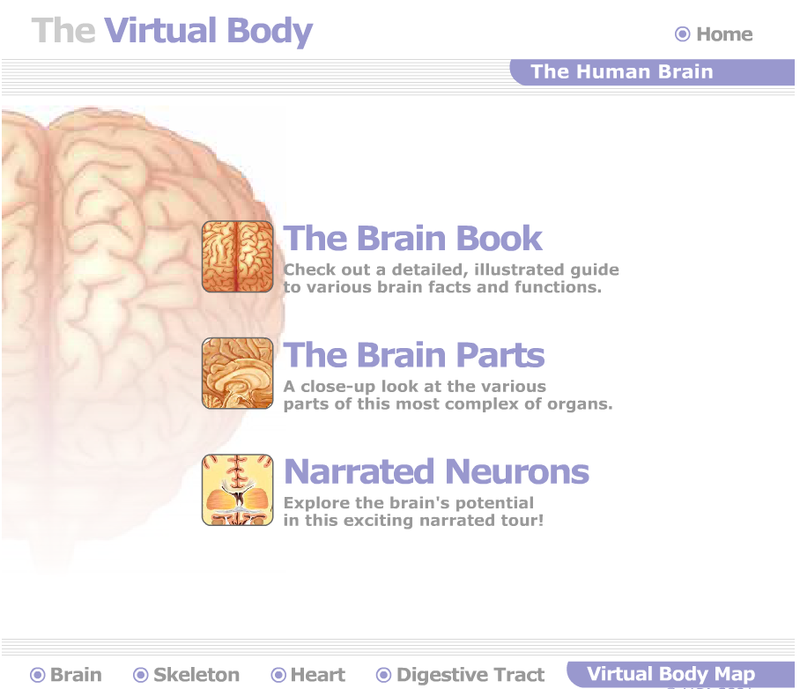 Virtual Body allows students to learn about the human body using visual animations. The parts of the body covered here are the skeleton, the heart, the brain, and the digestive tract. 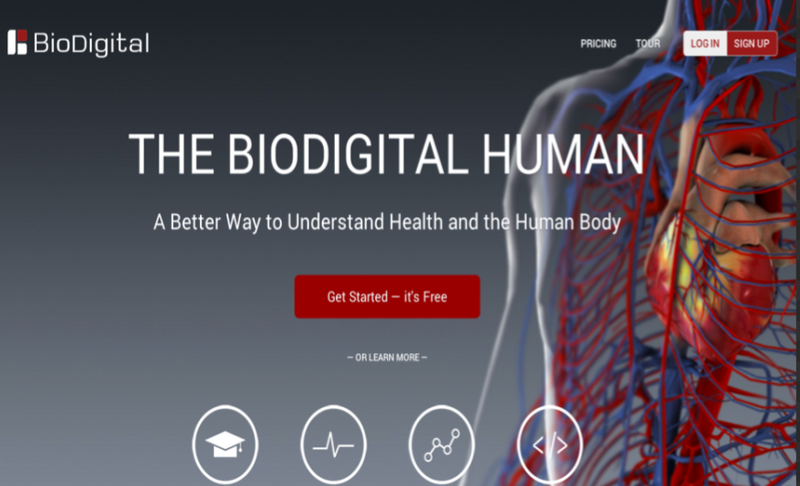 BioDigital is a virtual 3D body that brings to life scientifically accurate anatomy and health conditions in an interactive web-based platform. 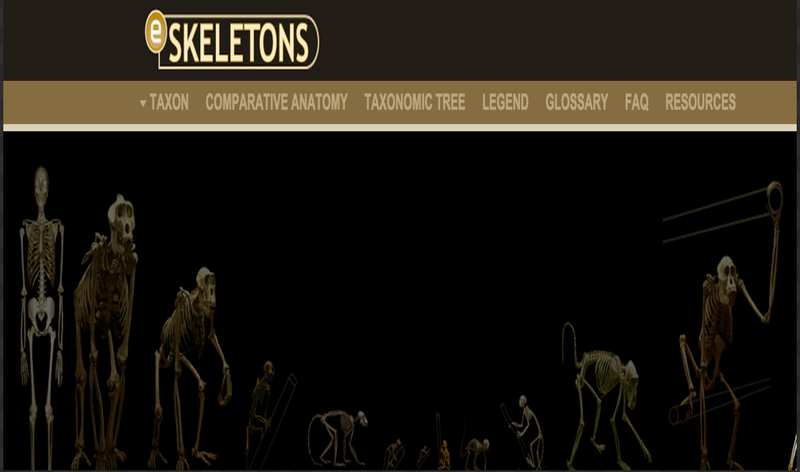 eSkeletons provides an interactive environment in which to examine and learn about skeletal anatomy through the osteology database. Images and content are created by faculty, staff, and students at the University of Texas.